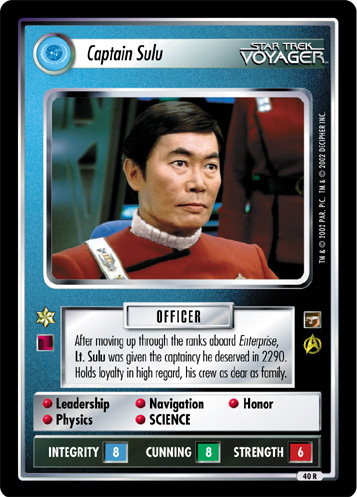 Originally assigned to the starship Enterprise as senior physicist, Hikaru Sulu quickly transferred to the helm. Hobbies include botany, fencing, and antique firearms. • Physics • Navigation • Biology • SCIENCE • If on Starship Enterprise, it is WEAPONS +2.